Ana Sayre, a birthing center in Guatemala; and the EcoVillages School in Haiti, plus many more. A Children’s Craft Corner and hospitality snacks will also be available while you shop. 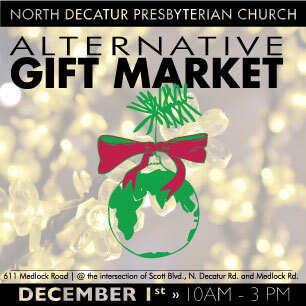 NDPC is at 611 Medlock Road at the intersection of Medlock, N. Decatur Rd. and Scott Blvd. Credit Cards, Checks and Cash accepted. Make a difference in the world, one gift at a time! 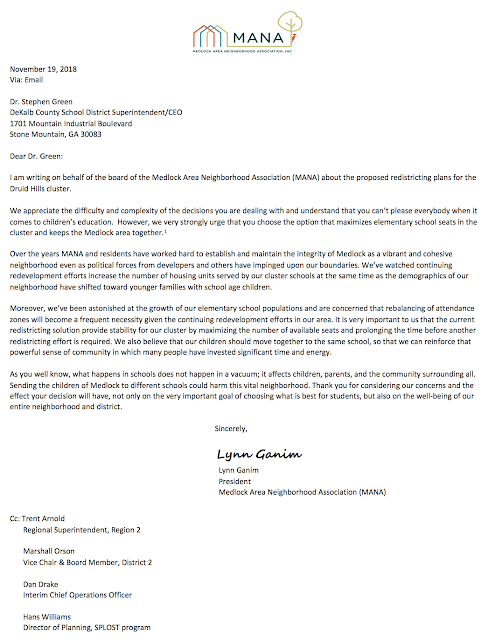 With MANA zoning team support, I was able to work with the immediate neighbors to negotiate the attached zoning agreement and conditions for the QT redevelopment. In the end, we basically got everything that was requested. Of benefit to the community: New 10 ft wide multi-use sidewalk around the edge of their property (Lawrenceville Highway and Orion Drive), new 8 ft wide multi-use sidewalk to Harrington Drive, new painted crosswalk at both Qt entrances, and re-striping of Orion Drive as it leads up to the intersection. Of benefit to the immediate neighbors: Replace existing wood fence at the property line with new 8 ft fence, addition of new double-sided 8 ft fence on QT side of buffer, Removing dead trees from the buffer, cleaning up and replanting the buffer, dumpster enclosure to minimize sound, and in general moving the more intense use away from the residential homes (gas pumps, lighting, underground gas tanks, etc). The Board of Commissioner's meeting will hear this request on 11-13-2018. No opposition is expected. UPDATE: The request was approved by the BOC on 11-13-2018.